Wall dedicated to the support effort of the Laifuxiaoyuan Dog Shelter. A student doing a presentation on “mantou” (steamed buns). A student doing a presentation on one of his beloved books. A student doing another presentation on one of his beloved books. A student doing a presentation about the reason he’s growing his hair: the hair is to be donated for a cancer cause. A student’s presentation about Chinese History. 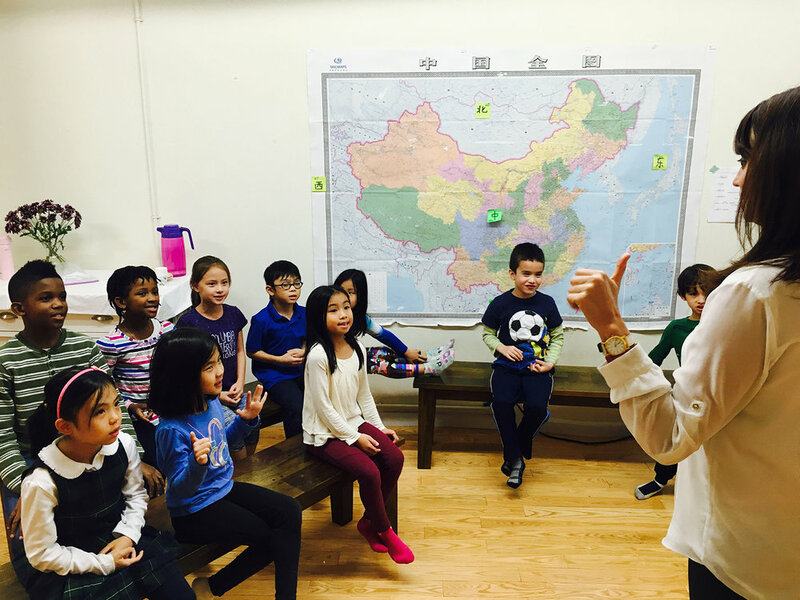 Since 2017, our students have embarked on a journey to help raise funding for Laifuxiaoyuan, a small dog shelter in Beijing, by doing short presentations on subjects they enjoy (all in Mandarin, of course!). Each student can do as many presentations within the school year as they like and for each presentation they will symbolically collect an amount enough to cover a dose of the rabies vaccine for one dog (the monetary funding comes from sponsors for this project). CCBG have visited this shelter in the past and are in communication with the director, Li Jun (李军), about the shelter's basic necessity needs — vaccines for the dogs. Li runs the shelter on her own and relies heavily on donations, but even with her extremely limited resources, she showers these animals (that would otherwise be homeless and on the streets if not for her help) with genuine love and care. Li understands that providing these animals with just food, a bowl of fresh water and a place to call home (at least until they are adopted into their forever home) is always just the beginning, because contagious diseases such as rabies can rob them of their happiness faster than starvation. But with over 400 dogs, it has been a struggle for Li to choose for the dogs between going hungry or getting sick. During the 2017-2018 School Year, a number of our students did presentations in Chinese on topics such as: The Great Wall of China, Chinese New Year celebrations in Hong Kong, personal stories and experiences (e.g., growing long hair to donate to causes or becoming good at a sport), and even some food recipes! To show their support, families from our program contributed by purchasing the scallion pancakes made by some students, while some families made direct donations. 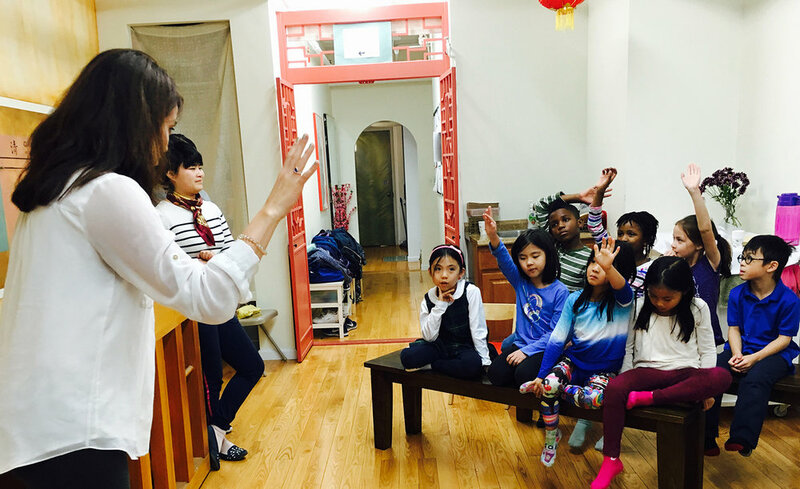 Our director, Gisela, donated her most of her proceeds from a Development Psychology Class she taught in China in late June of 2018. 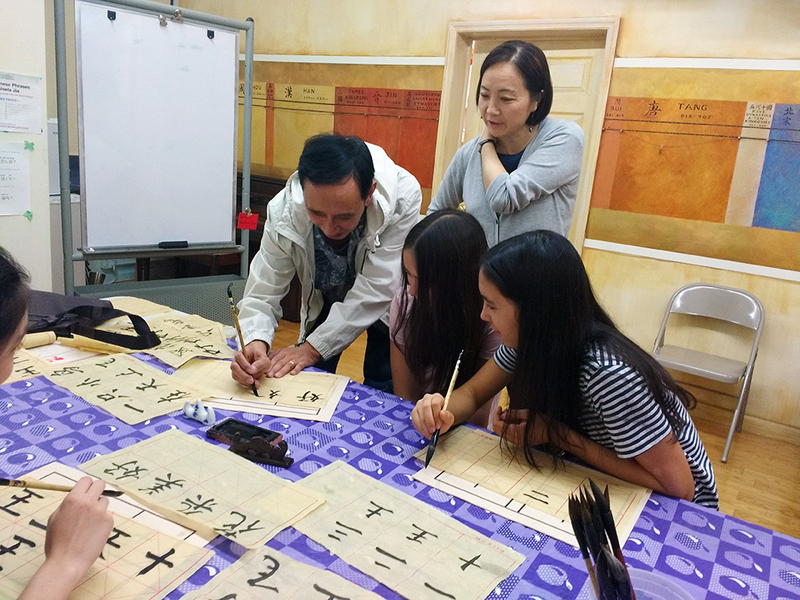 Our Calligraphy Studies have a total of 8 one-hour long calligraphy lessons built in throughout a school year. For students who have review classes, these lessons all happen during the review classes (every third week). 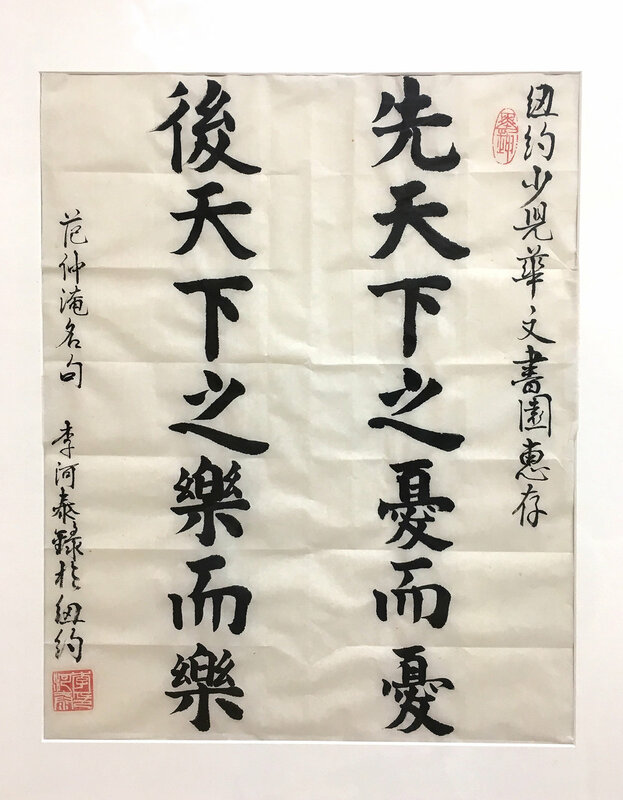 The goals are: to help students develop an appreciation of the art of Chinese Calligraphy, to be inspired to want to write Chinese characters, and to reinforce basic writing skills through this more interesting medium. 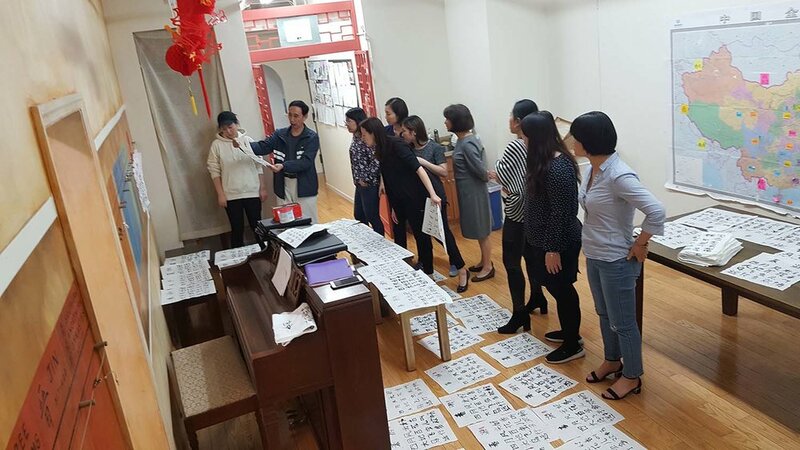 Our calligraphy teacher is Howard Li (李河泰). 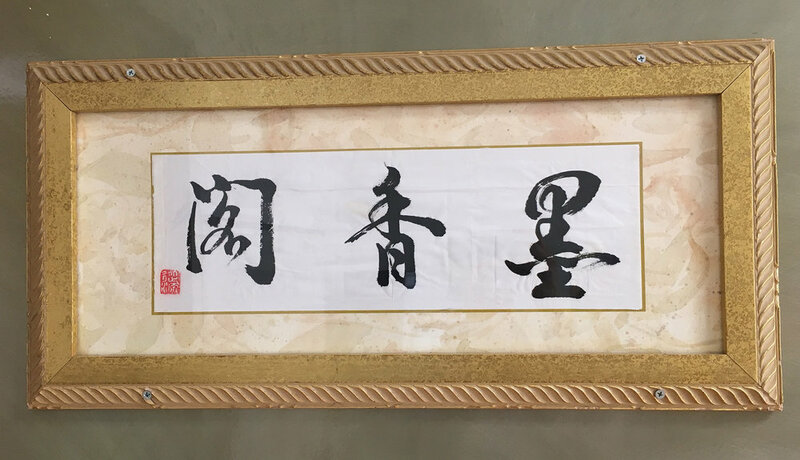 We have invited him to work with our students not because he makes a living by teaching calligraphy (he doesn’t), but because he lives with calligraphy. Howard grew up in a village in Shanxi province, China. His father, as the accountant for his village, did all his accounting work with a calligraphy brush. As a child, Howard would write in dirt on the ground with a stick or write on rocks with anything he could lay his hands on. 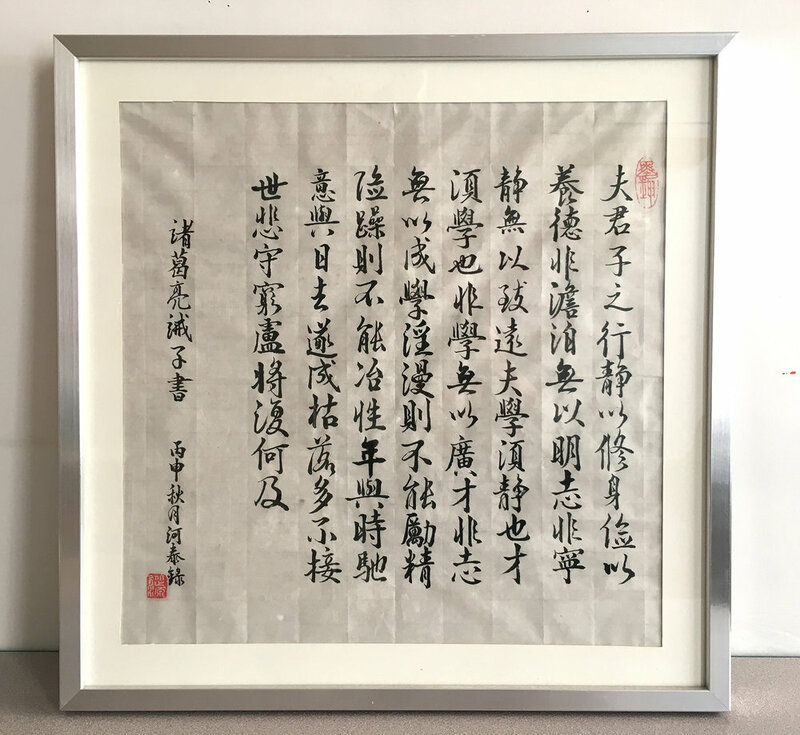 Now, after years of being a college teacher in China, a resident of NYC, he writes with a brush every day — from the simplest strokes to memorials of his family members. 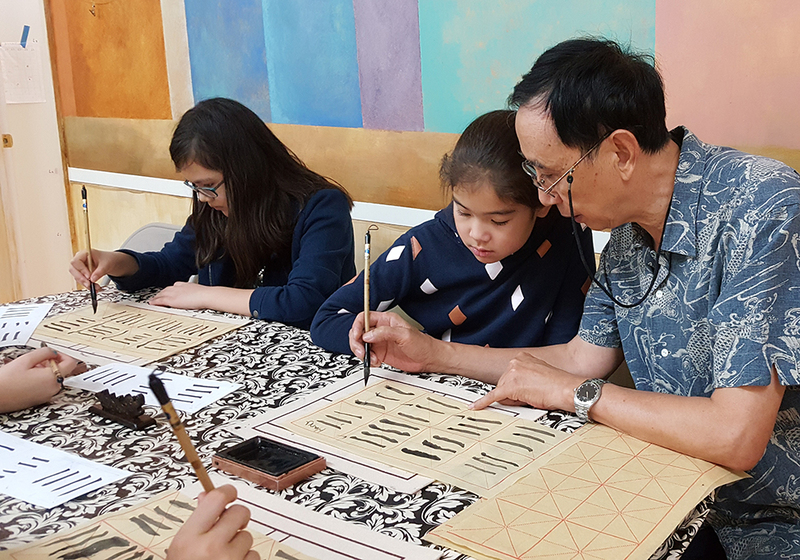 His passion for writing is contagious: he inspires students who are new to calligraphy to pick up the brush and try, and he gives students with some calligraphy experience a new perspective to this elegant art form. 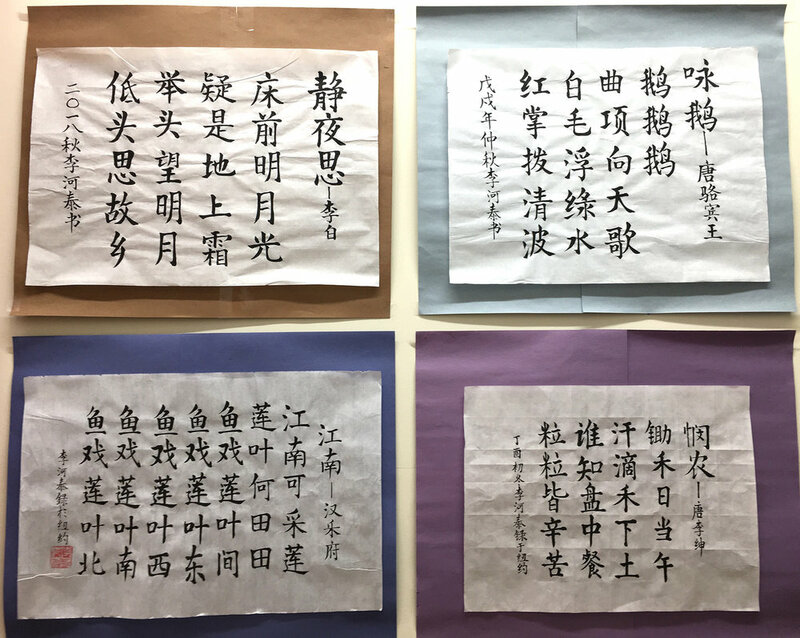 During this school year, our students worked very hard to prepare themselves for a final calligraphy exam that was administered towards the end of the school year. 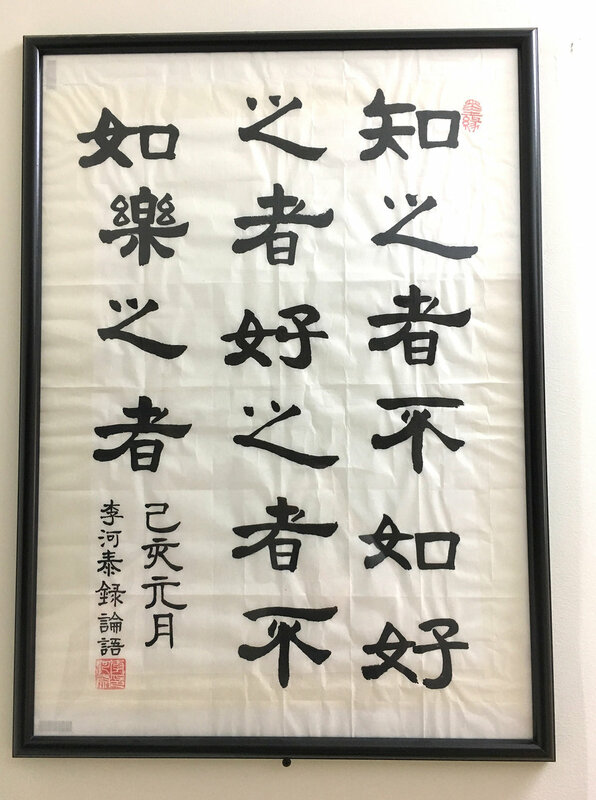 They were each tasked with writing the poem "春游" (Spring Wander) on their own gridded paper designed for Chinese calligraphy. Afterwards, our teachers gather to grade our students' masterpieces with great attention to the details of each one. Our teachers were very impressed when they got an in-depth look at each student's progression from (some) being completely foreign to this art at the beginning to being young masters of the techniques, postures and strokes. As any project we conduct here at CCBG, we also want students to pick up techniques of a practice. Our singing teacher is Samantha Dango—a professional singer, having performed in various theatrical plays and operas. She is also a licensed teacher with experience teaching singing to elementary school students. Samantha’s passion and skills for singing inspire our students, and through her coaching, we hope our students will sing with more awareness of the many vocal techniques involved—from the importance of breathing to the different styles of singing. 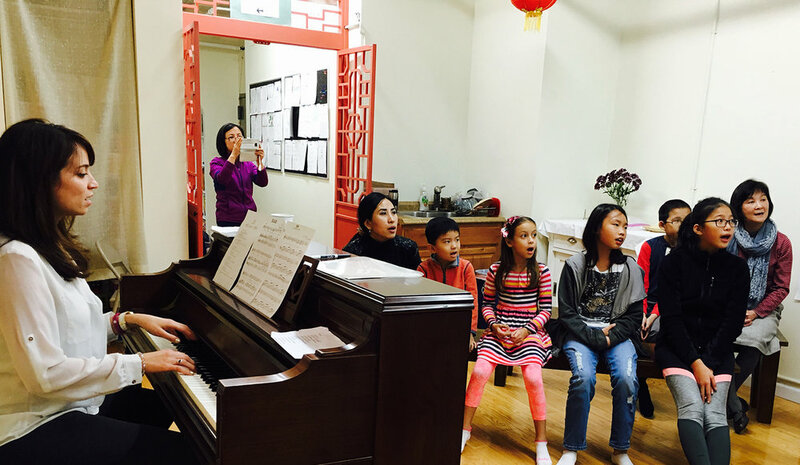 For the 2017-2018 school year, our students learned a series of songs that exposed them to the voices of the Chinese people throughout the past century. We shared with them the background of each song. Depending on a student’s age, each understood on different levels the morals of the songs’ backgrounds. 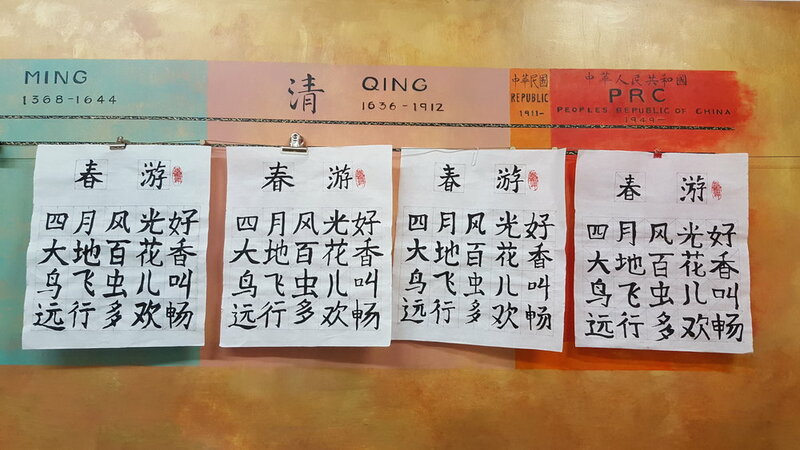 For example, students of Grade 3 and up easily understood how the first song—“Bidding Farewell”—expresses the sentiment of uncertainty when China was transitioning from the rule of the last emperor to a new republic. Another example, all the students related to the story of how the composer of our second song — “Selling Newspaper”— created the song for a 10-year old newspaper-selling girl who ran throughout the streets of 1930s’ Shanghai to earn money to help her ailing father. Click here for samples of the songs our children sang. 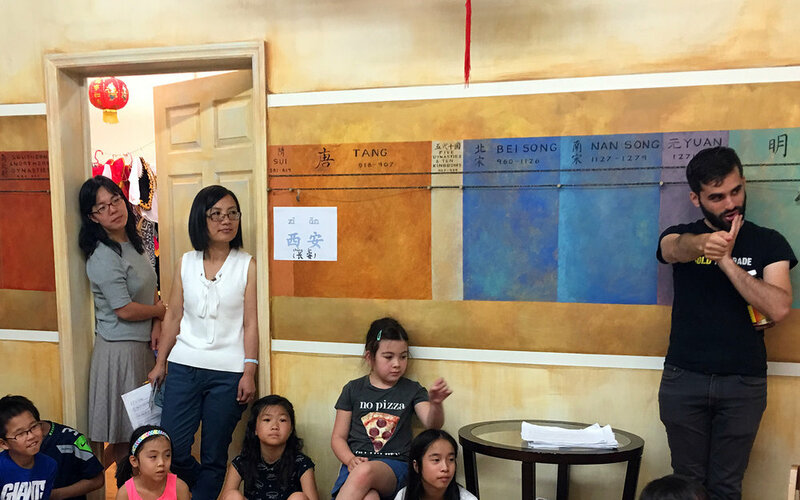 Since 2016, our students went under the tutelage of Michael Leibenluft, a Chinese-English bilingual theatre expert, to engage in year- or summer-long theatre projects. Michael is also an active member in the Chinese language community, one of his better known involvement is the GUNGHO Projects. Students of each project would vote on stories they want to act out, select the scenes, write the scripts for the characters, and will move on to producing their plays. 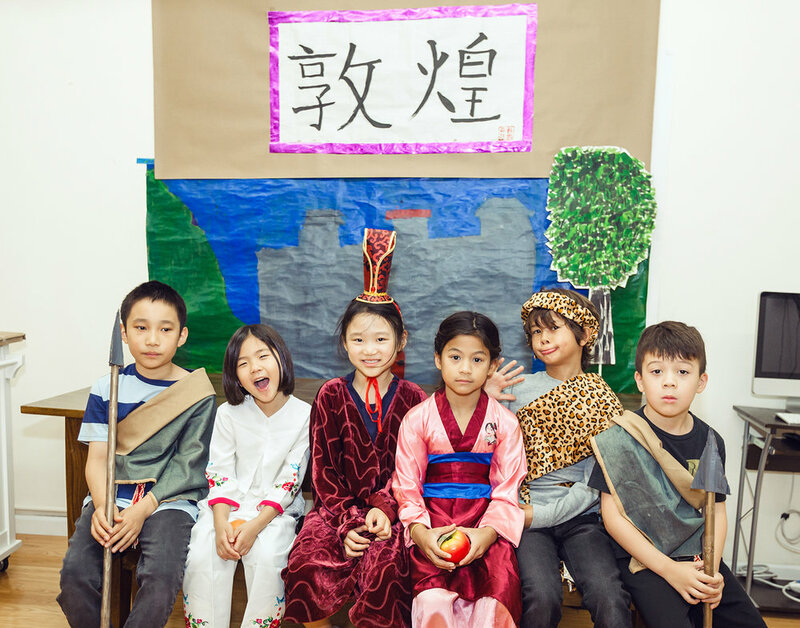 Some of the plays our students have completed include: 嫦娥奔月 (The Legend of Chang'e, the Goddess of the Moon), 仙人张果老 (Zhang Guo Lao the Immortal), 鸿门宴 (The Banquet At Hongmen), 飞来峰 (The Story of the Flying Mountain), and 姜太公钓鱼 (Jiang Taigong Fishing). Our students engage in cooking lessons incorporated into their curriculum as part of their Chinese language learning experience. With the help of our teachers, our students cook up an array of sweet and savory treats from dumplings and noodles to pancakes and wraps. They learn the cooking, prepping and cutting techniques involved with each dish, from the complexity of which ingredients do what to the simple cracking of an egg.